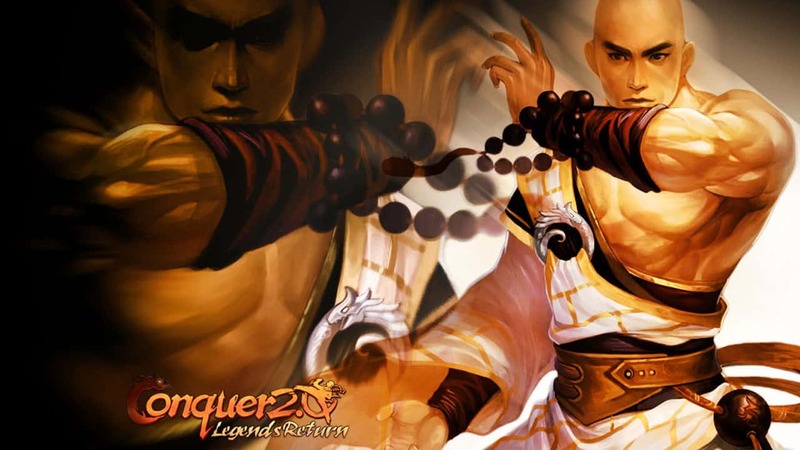 Conquer Online is a free MMORPG set in mythical China. Released by TQ digital entertainment, the game has recently celebrated its eighth anniversary. The game’s control system relies heavily on mouse usage, the user being required to click for almost every action.Quests in Conquer Online are as simple as they come, most of them focus on having the player kill an indefinite number of monsters looking to score the quest loot.As the drop rates are not exactly “user-friendly”, questing might prove to be a long and most tedious task, especially if one is not accustomed to the grind aspects of MMORPG with Asian origins. There are seven classes in Conquer Online, each with their own set of skills, weapons and armor proficiencies. You can go for the Ninja if you are into slashing monsters up. The Archer if you like the idea of a pin cushion. The Fire Taoist if you always thought that the bigger the weapon the bigger the damage. A Monk if you accustomed to hearing voices and healing people with the power of your mind. A Water Taoist if you like to be like the Fire Taoist, but slightly different. A Warrior for shield proficiency and finally you can choose to become a Trojan so you can wield two weapons at the same time and inflict massive damage on your enemies. A recent update has introduced a seventh character and new feel to the game. Pirates! So what are you waiting for? Do you have what it takes to conquer be the greatest pirate that ever lived? Take to the seas!